Gardeners have long admired ferns for their bold forms, fine foliage and delicate shades of green. They are also often the best plants for difficult places, especially in shade, and in recent years have become more and more popular. 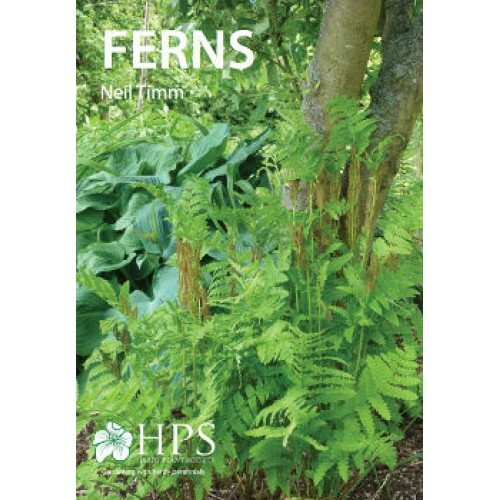 This practical booklet concentrates on medium-sized ferns that are hardy in the British Isles and suited to growing in the garden. There are lots of suggestions for ferns to grow in shade and woodlands, in moist soils, in rock gardens and in containers. Neil Timm explains how and where to plant and establish ferns successfully. Ferns reproduce from spores not seeds and he shows gardeners how they can easily propagate their own ferns from these spores using basic equipment. As he points out, fossil records of a fern such as Osmunda, can be traced back over two hundred and fifty million years and yet we can still grow it in our gardens. A fascinating read!